The Stark County Farm Bureau is a non-profit farm organization that works on behalf of local farmers representing their interest at all levels of government as a voice for the farmer. There are 6,525 members of which 1,158 are farmers. 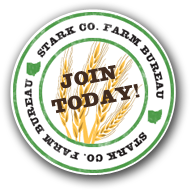 The Stark County Farm Bureau offers many benefits to its members including educational opportunities, discount programs, and property protection. Each year the year Stark County Farm Bureau presents a number events designed to educate connect the general public to local agriculture. 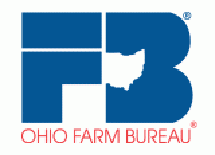 The Stark County Farm Bureau is again sponsoring a Scholarship Program. A total of four scholarships for $750 each will be awarded to members and their children in Stark County. The county recipients will be chosen in May 2019 and receive a $750 scholarship upon our receipt of proof of enrollment.